We are happy to share a set of shots of the website we have created here, at Zajno, for cool clients of ours to help them raise funds and take their company to the ICO. We are looking forward to the product launch which is coming quite soon as we are putting our final touches. We hope it will work out great! Goals: The goal of the website is to educate users about the current problem in the cryptocurrency segment, describing the solution for that problem while providing context and proof. 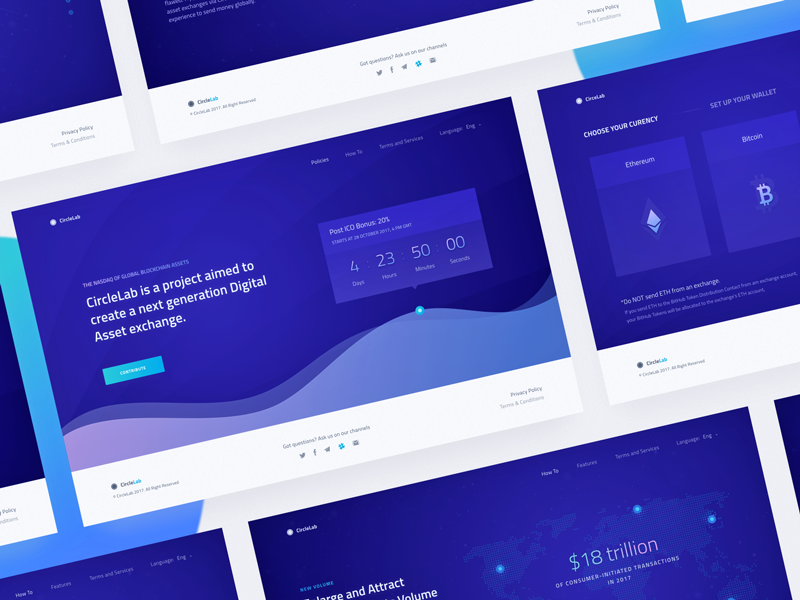 Approach: We designed the website with the end user in mind, simplifying the way they can contribute cryptocurrency without any prior experience doing so. The website is built as a story that unveils in accordance with logic of the customer journey that was described in our goals. Results: We ended up with a clean and at the same time visually rich website that corresponds to the client preferences in terms of style, as well as their business requirements. Let us know what you guys think of this, and have a nice Monday!